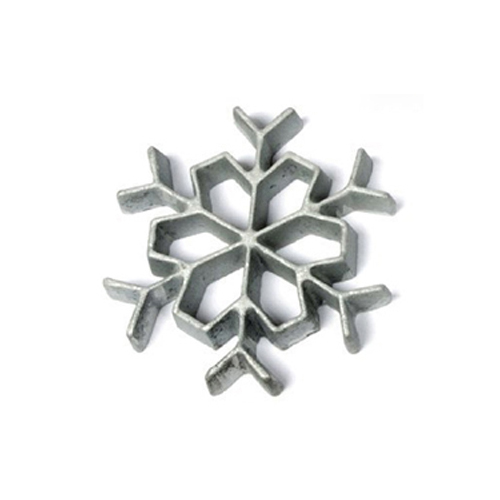 Rosette iron formed in traditional snowflake design. Cast aluminum rosette mold releases cookies cleanly and easily after frying. Rosette iron handle sold separately. This rosette iron mold in a two-in-one snowflake design is make of lightweight cast aluminum alloy, which releases cookies quickly and cleanly after frying. The double snowflake design creates lacy delicate cookies.